Tuning cars certainly ain't what it used to be. Fewer kids are into driving and more of them are leasing new blandoboxes on big wheels, meaning younger fans aren't modifying as much. The proliferation of factory customisation options means that many people now collect a car from the dealer exactly how they want it. And the surfeit of turbo engines means an easy route to big power, with far less effort than would have once been required. 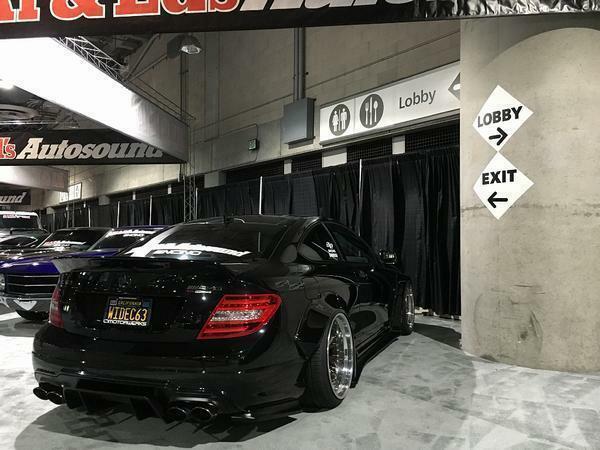 Throw in rising insurance costs and the demise of the tuned car is understandable, if no less lamentable. Thanks goodness, then, for the California car mod culture. 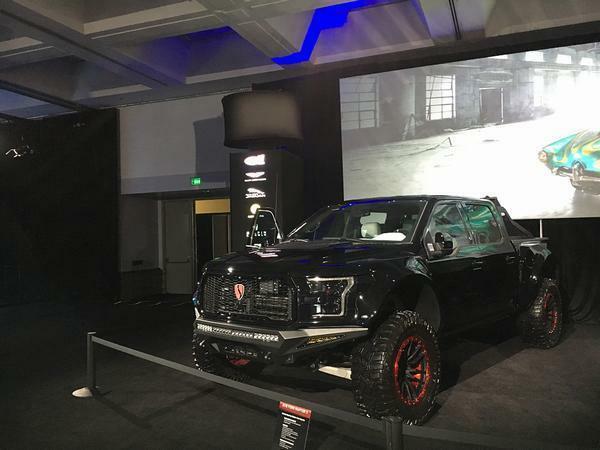 Tinkering with automobiles has a long and illustrious history in this part of the world, everything from Singer to the late Dan Gurney's All American Racers originated on the West Coast, and the scene is easily stills strong enough to deliver the LA Auto Show an entire array of modified cars. Sure, they aren't going to be to all tastes, but it proves the desire for something out of the ordinary is definitely still alive and well. Because that's what modifying is, right? 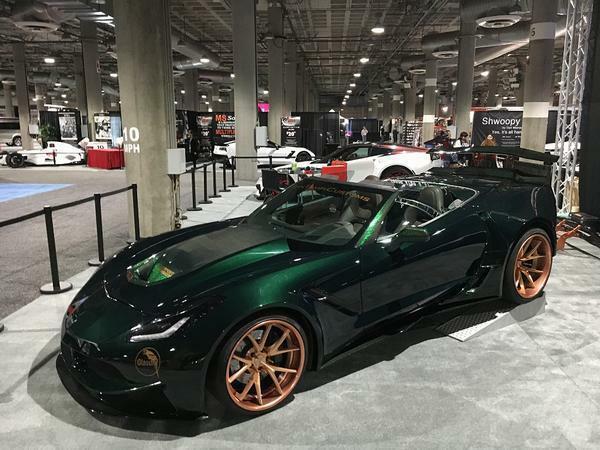 It's one person's or company's passion for a spectacular car, created exactly how they want. 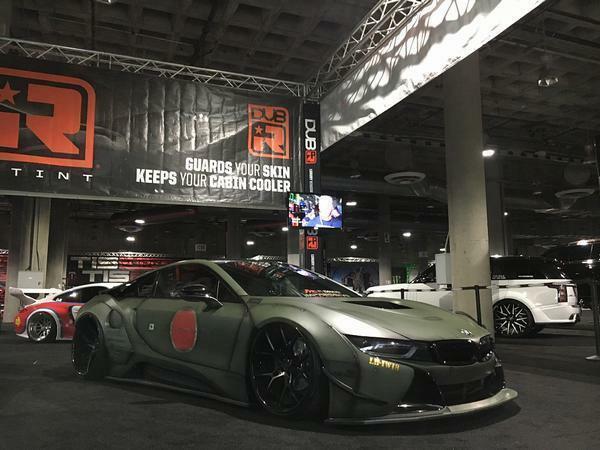 Opinions will always be divided on the various end results, but we can all support the enthusiasm and dedication people have for their peculiar shade of car culture. 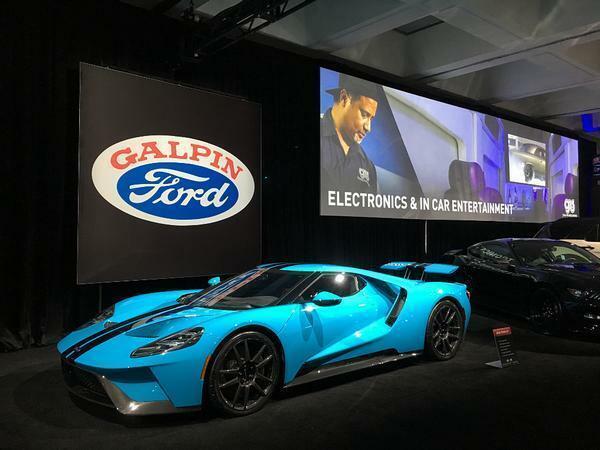 At LA, the aftermarket exhibits are split into the Galpin's Hall of Customs and the The Garage, the latter appropriately enough located downstairs in the basement, like a secret cellar of four-wheeled fancies. And by heck are there some cars to look at. 'Attention grabbing' has both positive and negative connotations, and it's a phrase that certainly applies here. 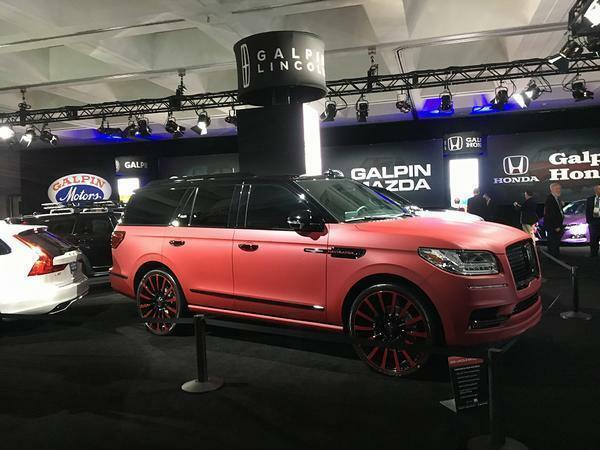 You want a pink Lincoln Navigator on colour matched 26-inch wheels? You got it. A widebody Ford Raptor? No problem. 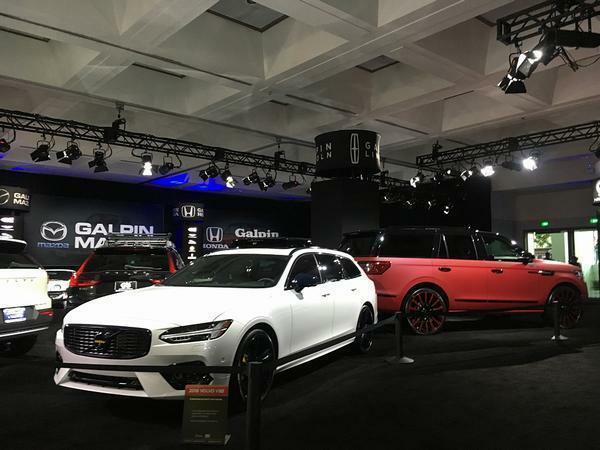 A Volvo V90 with yellow pinstriping inside and giant wheels? Right this way. There are more, ahem, carefully considered alterations, too. 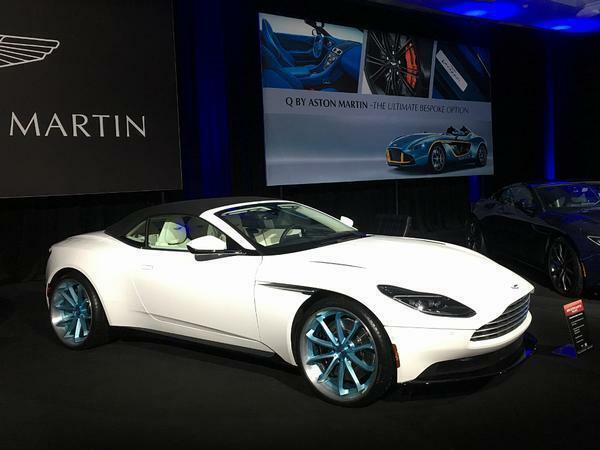 An Aston Vantage on 21-inch wheels might ruin the ride, but they transform its presence, even in primer grey. 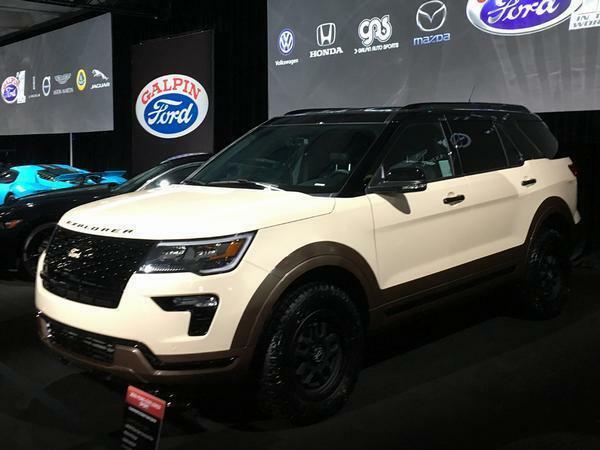 A Ford Explorer with a 'Light Ivory and Brown Metallic' vinyl works so much better than you might think - like a chocolate biscuit on four wheels. 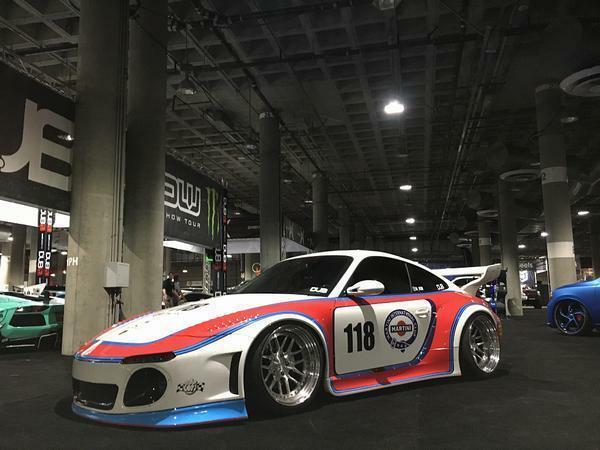 And while modifying a Porsche 911 almost borders on the cliche sometimes, it's impossible to avert your gaze from an RWB car. Again, it's divisive, brash and will have compromised the car hugely, but it's something different. As new cars appear to become increasingly homogenous, something against the grain deserves to be applauded. 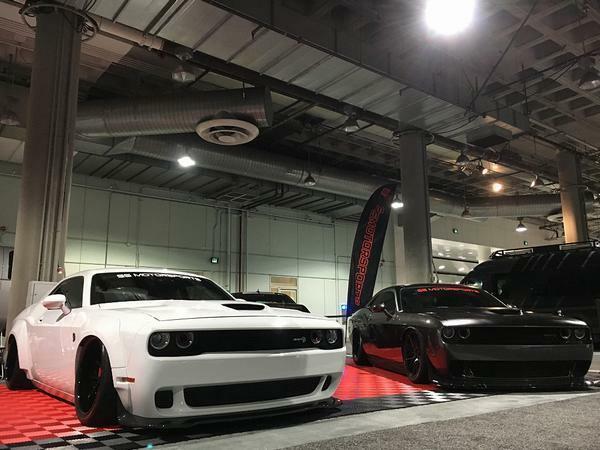 It's downstairs in The Garage though where things get properly daft: Challengers on air, slammed Ferraris, SUVs riding so high oompa loompas could walk underneath - if you want modified to the nth degree, here it is. Bra certain generation of gamer, with exhibits also down there from Dubr, American Fastbacks, West Coast Customs and SS Motorsport. 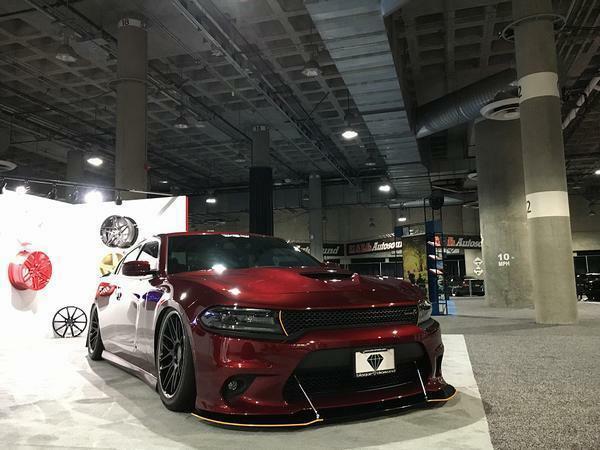 If nothing else it proves that the demand and appetite for modified metal still exists out here, sufficiently so for these businesses to prosper. Once more, it's hard to imagine one person liking every single car here, but that's a vastly preferable scenario to halls of the same old stuff. Personal highlights? 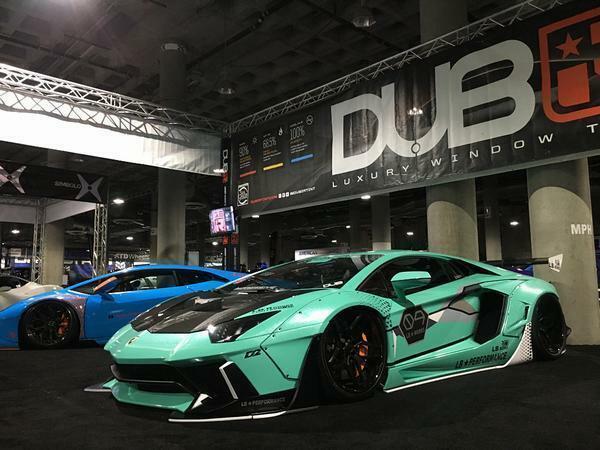 The sheer audacity of Liberty Walk's work never fails to amaze (see the turquoise Aventador), the effort put into 935 remake from a 997 had to be admired and a widebody C63 looked as silly as it did sinister - they all raise some kind of smile, which is more than can be said for a lot of the standard cars up top. Perhaps it is the jet lag, the location, the excess of sugar and sleep deficit, but it's impossible not to admire the tuned scene in LA. All tastes and personalities are catered for enthusiastically and emphatically, which is heartening when many senior mainstream voices tell you that the autonomous, ride sharing future is nigh. If you are at the show, do head down to the darker depths - you might just like it. 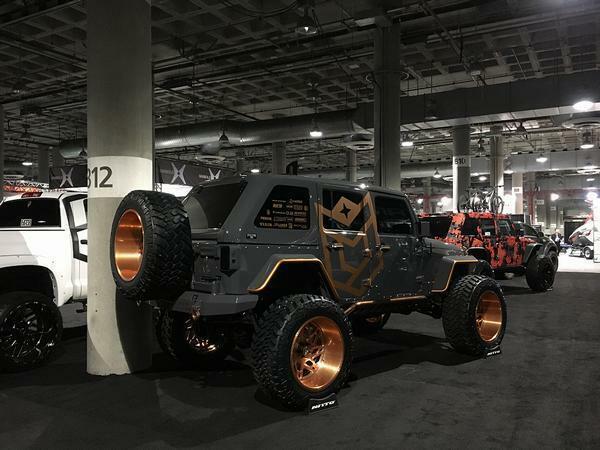 What's the jacked up beasty on copper wheels,4 down from the Aston on the bottom? Don't really understand the intro. On my rare visits to the local modified car "hang-outs", they have appeared busier than they have been in years. 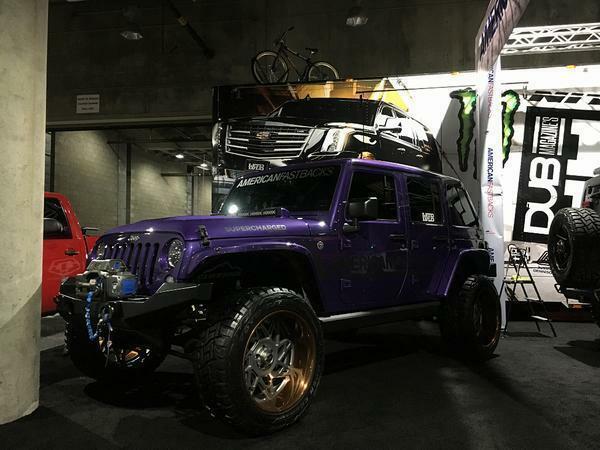 It seems to me that modified cars (and car culture in general) are on the up if anything.